Over several decades, manhattans pizza bistro ● music club has matured into one of Guelph’s foremost culinary establishments. 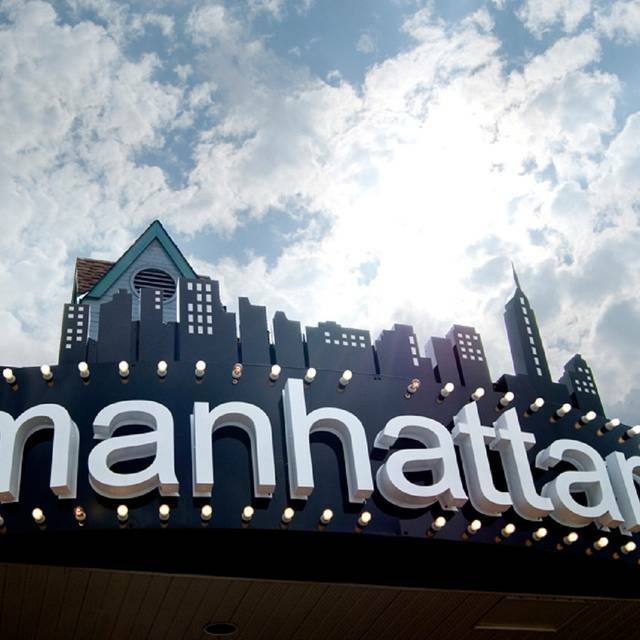 Just as the city itself has flourished into a vibrant, expanding community, Manhattans has also changed with the times. Having undergone a number of phases, our distinctive history tells the story. We are extremely happy to introduce our new Executive Chef Kyle Smith and new Sous Chef Alex Quintieri. Love the ambiance at Manhattans. Perfect for a date. Service was great, and the music entertainment just wonderful. Great food, great music, one of my favorite restaurants. This used to be one of our favourite restaurants for a nice dinner in Guelph, but now it seems it’s under new ownership and the quality of service has really gone down. Servers disappeared for numerous times and instead of ownership coming around to see if you needed anything, they were also sitting down having dinner. The menu has changed also and prices have gone up. Our last experience has changed our opinion about coming here again. Great place to go. Food was really good and the service was excellent. It was really great to have a live band to listen to while we were there. We will definitely be going back. I know there are new owners and it was a busy Saturday, but they just did not have it together. We asked for cutlery multiple times, our server was overwhelmed and wouldn’t split our bills (3 couples) because two people switched seats, which wasn’t a big deal but she blamed her inability to figure out our table on us. I asked for my char to be cooked through and I received char jerky with a very small portion of sides. To top it off the owners then sat down beside us at a different table at 10pm, in a full dining room, and took shots. Unfortunately we won’t be back even though the music was nice. Experience was fine except the table’s position was not great given that when I rebooked the time with staff I let them know we were their for the musical performance. Manhattans will definitely stick in my mind as a very good dining experience. - The best pizza - and I will be back. I was served a different type of pizza than what I had ordered, but I had eaten 2 pieces before I was certain. Our waitress offered to have kitchen fire up the correct order, or comp the pizza had been served. Fair deal-and the food was delicious, regardless. Well, we were seated promptly. Our server initially was very attentive. We ordered beverages and an appetizer. Then, it got rather strange. We were left unattended for sometime. Finally my partner says something along the lines of, where’s our server? A few minutes later a server appeared. Not our original we started with. He remarked that ours had left for the evening and we were forgotten. Fabulous meal with our friends, listening to an amazing 3 piece trio. 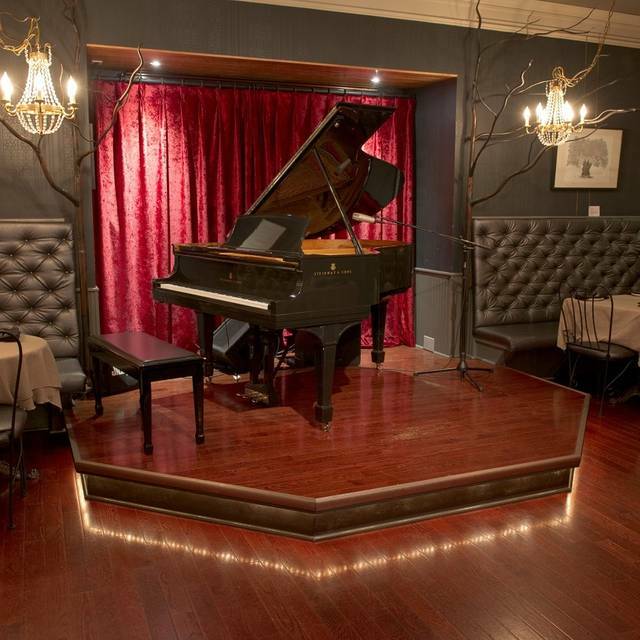 Piano jazz is my favourite, and it's hard to find venues that offer that type of entertainment. It was a lovely evening. Had a great time at MAnhatten's. Enjoyed listening to the entertainment. Not to loud but loud so you could still have a conversation with out yelling but loud enough you could listen to the music if you wanted to. We had an early reservation, 5:30 p.m. on a Sat. There were only a few diners there when we arrived but it filled up pretty quickly. We shares an appetizer, pizza, and main (Arctic Char). Everything was good and the service was excellent. Really liked the ambiance. Took the future-wife out for a lovely dinner date. Been seeing Manhattan’s since we moved to Guelph. Ordered a couple of pizzas, some appetizers, and dessert. Pizzas were very good though we found the crusts inconsistent, which was a shame. Salad and soup were good, and the desserts were as well. Service was okay, but felt a little neglected, but it was fairly busy when we arrived. Overall will most likely try it again. Amazing date night restaurant that outdoes all others in its price range. What an interesting discovery in Guelph. All three of us ordered pizza because other reviewers recommended that portion of the menu and while not up to the levels the better places in the the GTA it was fine. The real stars are the staff and the live music and think that’s enough to bring us back. Always consistently good food & service. Wonderful ambiance! 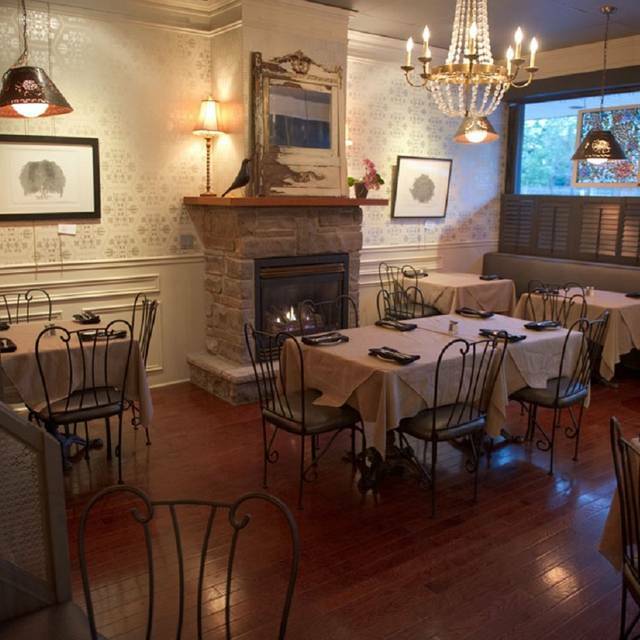 Possibly one of our favourite Guelph restaurants given the overall value. I noticed that the Caesar salad recipe has changed as well I had your gluten free Gillespie pizza. Unfortunately it is not as good as it once was. You either have a new chief or are using a difference recipe. We go here a couple of times a year if we can. reserve early. Food is always interesting and tasty. Service this time was a little slow at time, clearing extra glasses, one app came late. Over all this is a great place to hear some music and enjoy a relaxing evening. More vegetarian options would have been appreciated. We had a wonderful time, the food selection was amazing and we tried the vegan dish of the day a pesto veggie pasta and it was very good and the vegan sorbet for dessert. I also tried the Pink Panther drink and it was delicious. The service was great and the atmosphere cozy we enjoyed the live pianist. The restaurant was also had a nice ambiance and the whole place including facilities were very clean I would strongly recommend this spot and plan to go again soon. The music was great. Not so loud that we couldn’t hear each other and very enjoyable. The food was excellent-I had the duck and my wife had the steak. Both delicious. I will always recommend Manhattans. 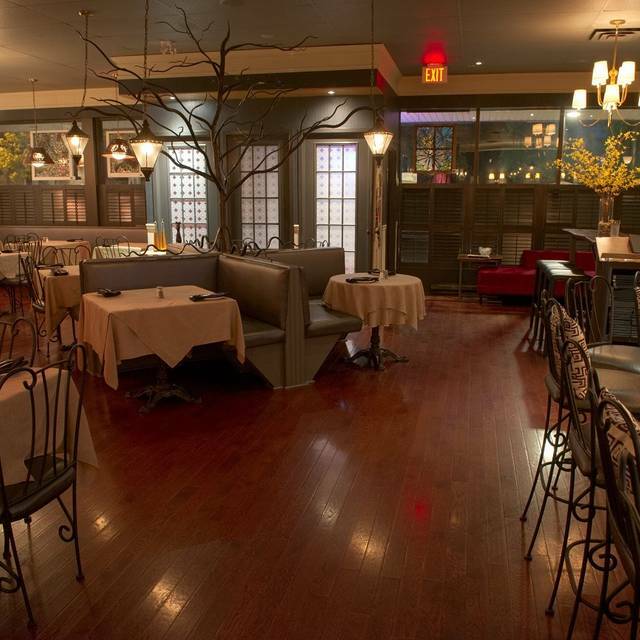 We have always enjoyed our food and music experience at Manhattons. The Service is always consistently great, ambiance relaxing, romantic— you feel you are having a special night out. The only negative to our evening was the piano player— his piano playing was brilliant, however he did not communicate well with his audience and his first break was an hour. What a wonderful place to enjoy an excellent meal, atmosphere, service and entertainment. All around just a truly enjoyable evening. However, I would let them know that the menu has changed substantially since I was in last. There is less selection. Some of our favorites were missed. New menu is good and the service was excellent. Highly recommend the pizza with the sausage and hot peppers as well as the ricotta gnocchi. Ambiance and service were outstanding as always with a talented pianist playing that night. Recommend for date night!! Thank you for a wonderful evening. We hadn't been there in almost 5 years. We were not disappointed; worth the wait. The steak and tenderloin dinners we had were excellent. The staff and waiter were fabulous; courteous and friendly. The atmosphere and music very enjoyable. Looking forward to our next outing at Manhattan's! the only thing that put me off - was when I made the reservation - I was told there was a time limit on the table. I don't like feeling that I have to rush out the door. The best place in Guelph. Always great food and service. Always a wonderful evening at Manhattans. From the fabulous music to Thomas and his teams warm hospitality, we love it here. We live Manhattans. Great food, music and atmosphere. Always great food, great music and excellent service. Always get the Soup de Jour it's amazing every time. I was shocked at how good the tomato soup tasted. From then on, everything we ate was a delight. I definitely want to come back to try all the other menu items. A memorable experience. The servers were kind and helpful; they always came at the right time. The salad and pizza was delightful :) definitely coming back!! Quality food & drink. Enjoyable over all experience, would prefer a bit more ambiance in regarding to lighting during dinner hours but perhaps this occurs later. Excellent service and great atmosphere! We enjoyed the evening.